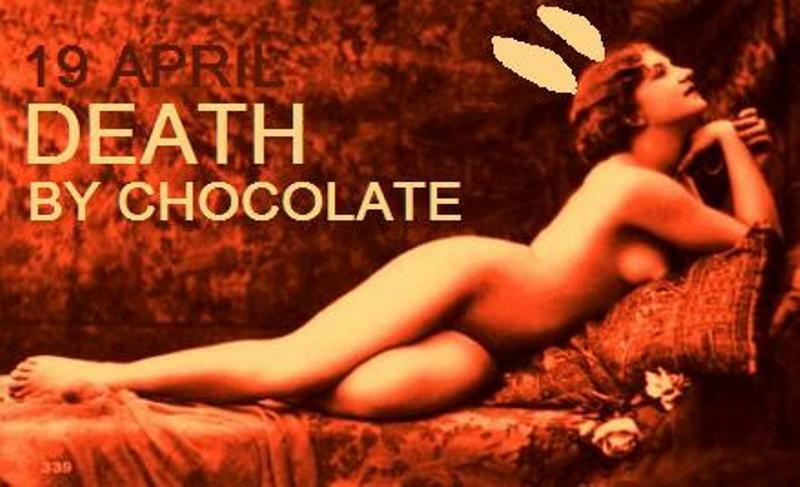 Death by Chocolate- places still left! There shall be chocolate galore. There shall be a visit from the Killer Bunny. Come feast your eyes on our DEATH BY CHOCOLATE extravaganza tonight! Lots of people have pre booked already but there should still be some places available on the door. Advanced booking now closed so just turn up on the night and queue to get in. With chocolate treats to eat and chocolate flavour beer on sale at the bar!